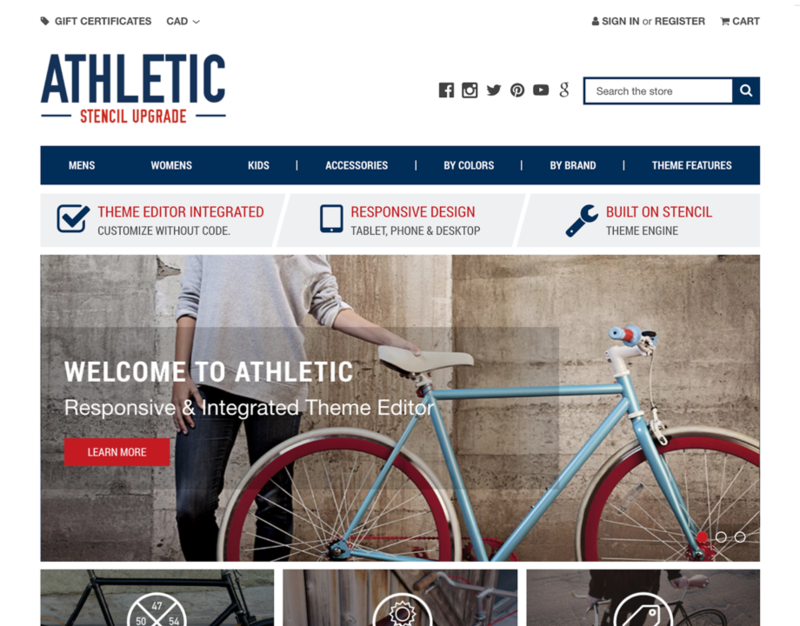 Originally developed on the Blueprint theme engine for BigCommerce, Athletic was the most popular theme. Loved for its versatility and usability, it is the foundation that's used by some of the most recognized BigCommerce stores. If your store is using the original Athletic theme on Blueprint, this new version has been built to make the upgrade to Stencil as easy as possible. 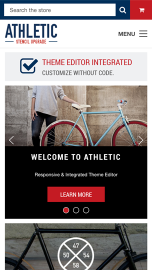 If you're a brand new store, Athletic provides you a proven, customizable theme that's optimized for conversion on desktop and mobile.